He further spoke about his struggles with smoking and said, “I quit smoking for two-three years when I was training for Dhoom 3 (2013). But then, I went back to it again. I tend to smoke more when my movie releases. Kiran [Rao, wife] would be affected by the cigarette smoke, but she isn’t averse to the pipe. 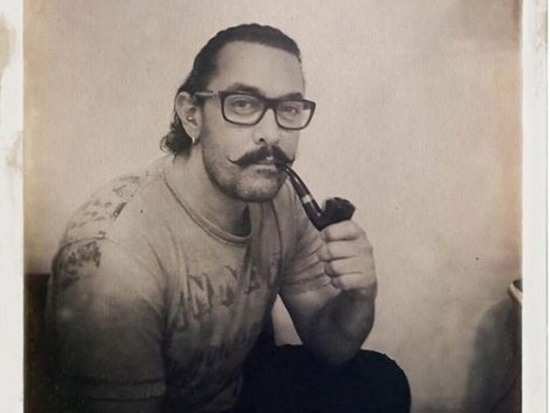 I even tried my hand at cigars, but did not find the experience satisfying.” In fact, some reports state that Aamir had once even asked Shah Rukh Khan if he could smoke in front of Amitabh Bachchan on the sets. 'Thugs Of Hindostan' also stars Amitabh Bachchan, Katrina Kaif and Fatima Sana Shaikh in leading roles. Directed by Vijay Krishna Acharya, the film is all set to hit the screens on December 21. Stay tuned for more updates. 3Deepika Padukone finalises her mangalsutra and here's its worth! 9Are Ranbir Kapoor and Alia Bhatt all set to tie the knot next year? 10Karan Johar may be a contributor to Ranveer Singh's quirky sense of style!